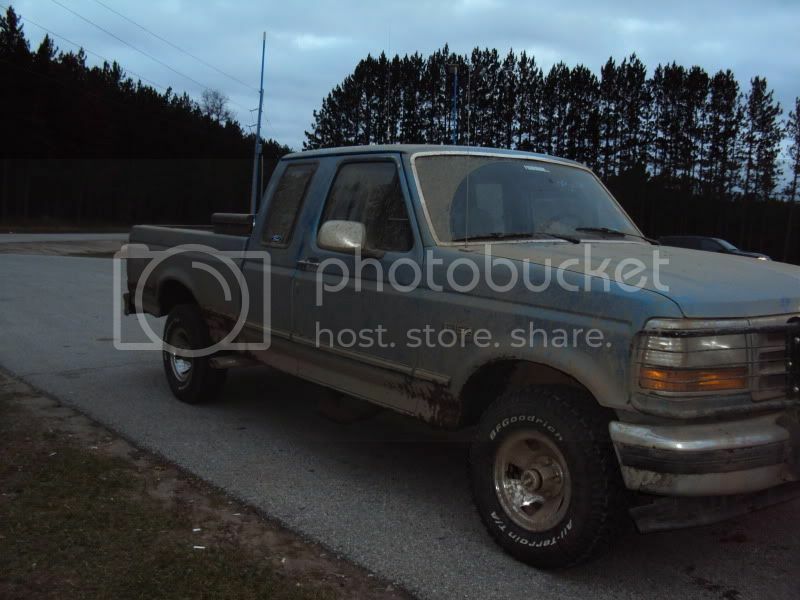 well here is my 93 f150. my friends and i went up to this place called the pipe line in a little north central wi. the place was just mostly sand not mud. but hey it was fun. 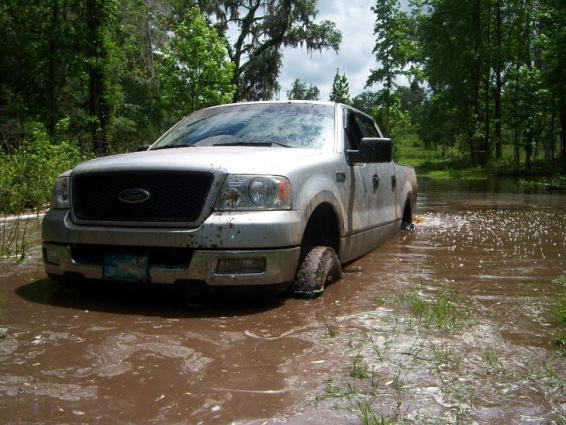 my friend in his 02 jimmy got stuck in the same puddle and was past his doors with water and i pulled him out. 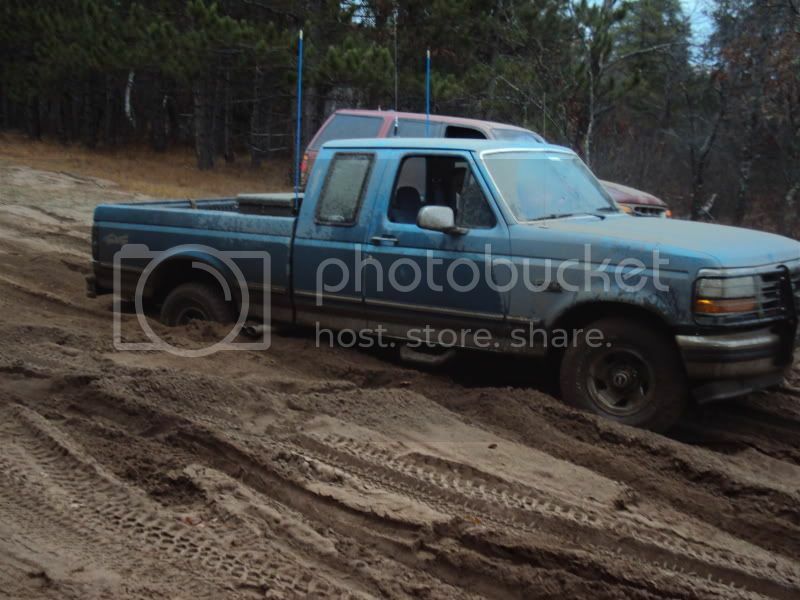 the dodge in the first video when i got stuck we didnt know, we meet him up their cause my buddy in his 02 GMC Jimmy couldnt pull me out which i new i was screwed when i got stuck. for some reason the starter wouldnt enguage, probably filled with water. the guy with the dodge his rings are basically shot and they trailerd that up their cause they didnt think it would make it up their with out blowing them. this is just sand i juse burried myself in. here is the web site to more pictures and videos that we took when we were up their. well here is my 93 f150. my friends and i went up to this place called the pipe line in a little north central wi. Would this pipe line be up near michigan? Yeah, I figured I'd get stuck so I told my buddy to get ready and I went for it.. he has a 05' FX4.. so we were good to go. Better to of tried and failed than to never tried it at all. it is like in Nicolet National Forest near Mountain, WI. their is also another thing up their called the Powerlines, never been on it and their is also anotehr part of the pipeline that you cannot take any stock truck. i have taken my truck thru this part on the one where you can take stock trucks. and here is the non stock part. 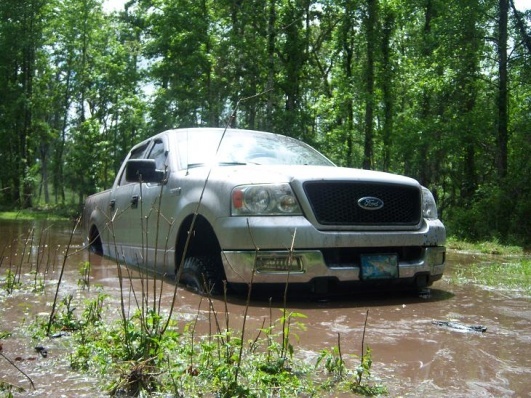 These pics probably don't count since the truck isn't stuck, nor are the floorboards under water. But what the heck, there is no pavement under the shoes.